Mugsy's Rap Sheet » 15 Years After 9/11. Doesn’t Anyone Know How to End a War? A 21st Century “Marshall Plan”. Hillary: “No ground troops… in Iraq. Period. Do it from the air”. Translation: a massive escalation of the Drone Warfare program. Maybe ground troops in Syria, but definitely not in Iraq. Gary Johnson: “Aleppo? What’s Aleppo?” Later tried to claim he was thinking it was an acronym, but even when he was told it was “in Syria”, he didn’t suddenly go, “Oh! Aleppo!” He was still clueless what Aleppo was. Jill Stein: “Stop funding ISIS. Stop buying their oil. Stop selling weapons to the Saudis.” And how does that result in the defeat of ISIS? That’s an aspiration, not a plan. Trump now insists his plan isn’t to simply drop a nuclear bomb on “them”… though I can assure you, if you asked his supporters, that’s exactly what a majority believe and want. So where exactly would Trump nuke? 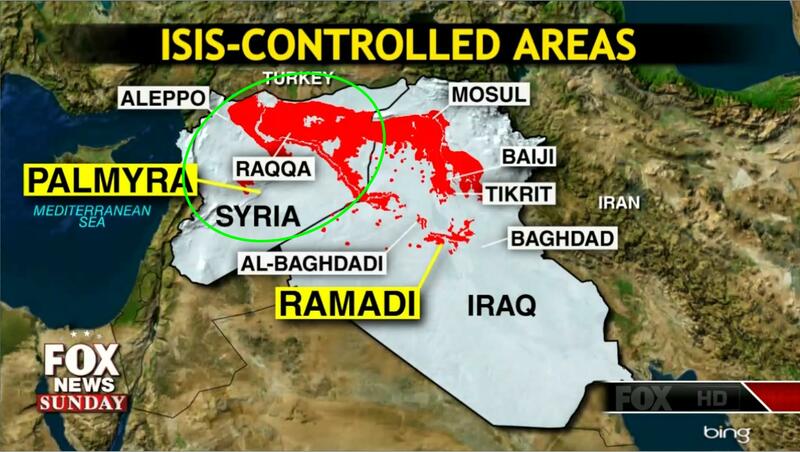 All of ISIS does not reside in just one city, or even one country. More than half of ISIS controlled territory is in Syria… a close ally of Russia. Is #ToddlerTrump going to start World War III with his new buddy Putin by nuking their ally Syria? Now that the Press has openly criticized Trump “IF” that’s his plan, he’s suddenly scrambling to come up with a new plan… yet insisting it’s not “new”, that it’s the same plan he has had all along… but it includes “asking the generals” what they think we should do, and if he likes their plan better than his own (which he doesn’t have), he’ll consider the General’s plan… after he’s fires a bunch of them first. Hillary Clinton’s plan is just Donald Trump’s plan on a smaller scale. Can’t just drop one giant nuke, so we pepper the region from the air using planes and targeted drone strikes. Libertarian candidate Gary Johnson’s campaign ended with that “Aleppo” gaffe. Just like Keith Richards of The Rolling Stones, he’s already dead, he just doesn’t know it yet. 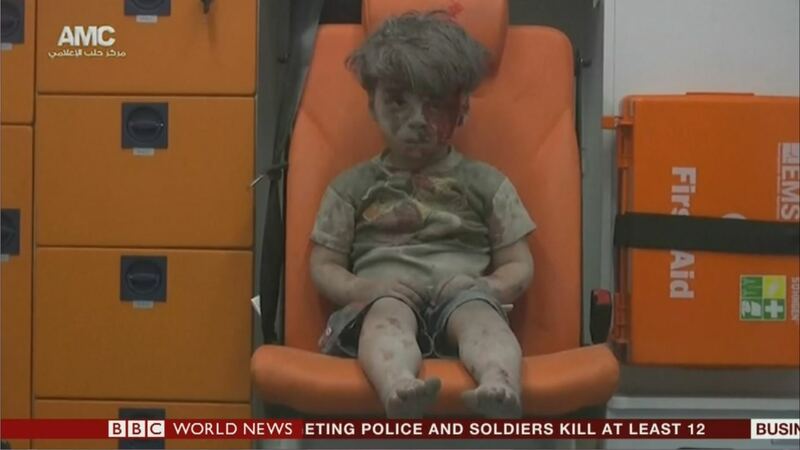 The genocide in Aleppo two weeks ago made front page news, and the photo of a shell shocked traumatized young boy pulled from the rubble went viral on the Internet. 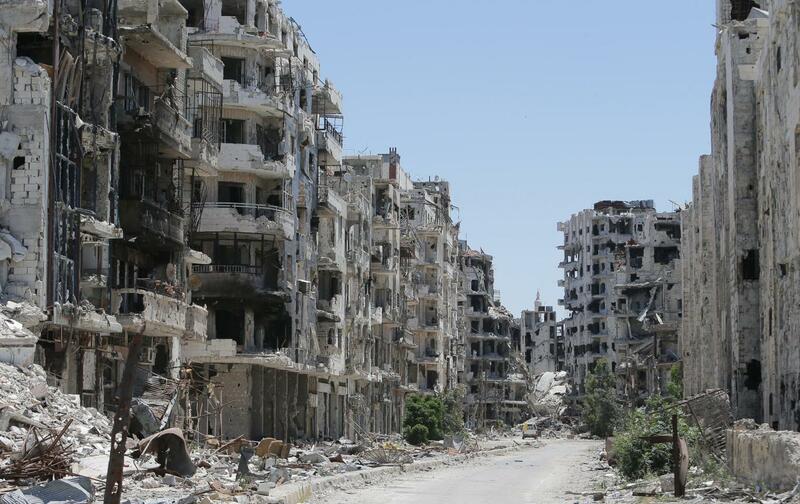 But even before that, Aleppo was known as the epicenter of the Civil War in Syria. And for Johnson to be so totally clueless about what “Aleppo” is was an instant disqualifier. I’ve heard people say they found it “refreshing” to hear a politician admit ignorance on a topic. That might be acceptable if it were some Joe Schmo running for a lower office. But not a person running for the highest office in the land where Syria will be on the front-burner. Part of this is due to the fact Libertarians are “isolationists” when it comes to military intervention. To them, the genocide in Syria is not our concern. Ergo, Aleppo was not on his radar. Green Party candidate Jill Stein did not fair much better. And while I agree with many of her platform positions of “stop making trouble in the rest of the world”, “enough of the militarism”, “stop empowering dictators” and “stop turning a blind eye to the despicable acts of people we call our ‘allies’ because we need their oil”, these are only aspirations, not actionable plans for dealing with an active genocide. As a Sanders supporter during the primaries, much of Stein’s platform is appealing: increasing America’s focus on developing a green energy economy, phasing out fossil fuels (which in itself would help get us out of the Middle East and stop enabling dictators and human rights abusers), making advanced education at public colleges & universities tuition free, closing tax loopholes for the ultra-wealthy and tightening regulations on Wall Street, but one needs a record of political experience and a coherent plan on how to achieve those goals. Stein has none of that. So, as you might imagine, with less than two months to go, I’m still at a loss for a candidate for president of the United States. Several times last year, I wrote a few columns on how to end the wars in the Middle East through “infrastructure”. I don’t care if you’re alQaeda, ISIS, a redneck Republican, Progressive Democrat or a Green Party hippie, everyone wants the same thing: to live in peace. And they will put the world through hell to achieve it. Anyone who thinks people who have had (or will have) their cities bombed into crumbing ghost towns will just peacefully “surrender” to the people who did it, haven’t been paying attention these past 15 years. Instead of more bombs & killing… which has DEMONSTRABLY FAILED… let’s go into the towns of our FRIENDS & ALLIES and start building roads and schools and hospitals and an electrical grid and a working sewer system. Rebuild their destroyed infrastructure. A 21st Century “Marshall Plan”. START MAKING LIVES BETTER FOR OUR FRIENDS instead of making lives miserable for our enemies (spilling over onto our allies). Take the wind out of ISIS’s sails. It’s difficult to recruit people to attack those helping to rebuild your county and make life BETTER instead of worse. And No, we wouldn’t be “rewarding our enemies”. We reward our friends and later those who renounce terrorism and welcome us in. Soon, cities that were once openly hostile to the United States will be eager to become our friends, welcoming us with those flowers George Bush promised 13 years ago. And it would be massively CHEAPER too. Compared to using $20 million dollar drones to fire million dollar missiles to take out a Toyota pickup truck with homemade rocket launcher in the back, the cost of rebuilding all the lost infrastructure can be done for pennies on the dollar. And the Military Industrial Complex that presently makes their money building bombs & bombers can build planes & runways. Literally “building bridges”. And unlike war, you’ll know when you are done rebuilding a city. And while we’re rebuilding over there, how about putting some of that savings into rebuilding our crumbling infrastructure over HERE? 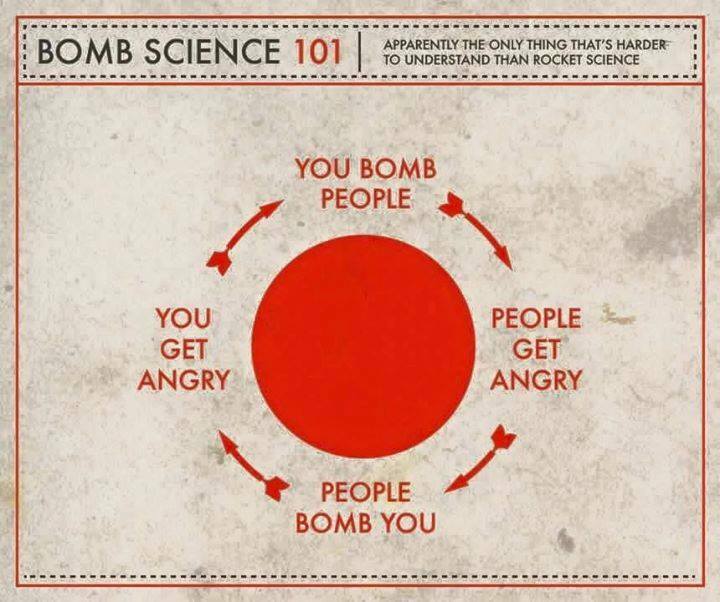 It’s not that complicated… and yet, I haven’t heard a single presidential candidate suggest it. It’s an actionable plan that could be implemented immediately with almost instant tangible results. It’s cheaper, and not only makes the world better but safer. And apparently, it’s too complex of an idea for four people running for leader of the most powerful nation on Earth to come up with on their own. So I offer this idea to whomever wants it. No charge. 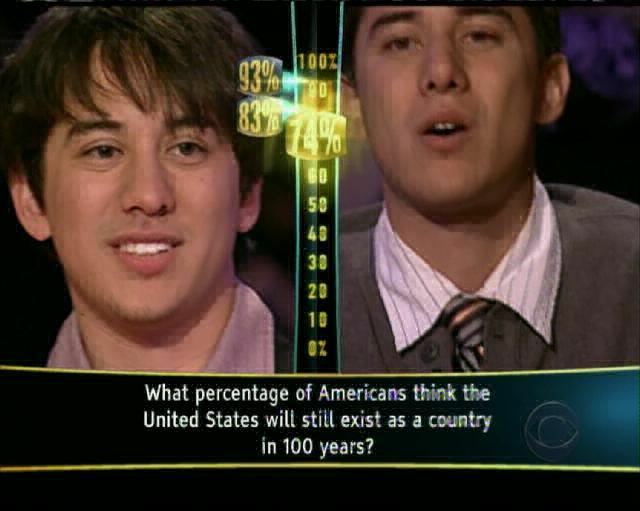 By end of Bush’s presidency, more than a quarter of all Americans believed the United States would no longer exist in 100 years. I forgot to cite “reducing the number of Refugees seeking asylum in other countries”. If Republicans don’t want them here, this is a way to reduce the need to for them to come here.